Great Tastes Tuesdays! : Lets Go Nuts! I found this recipe and thought I would try it! 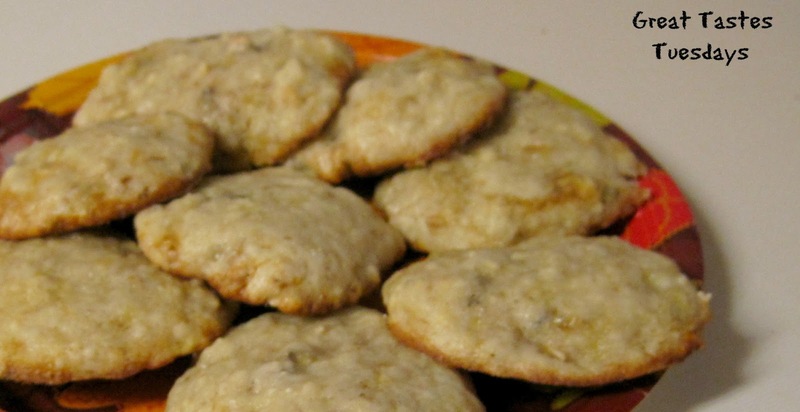 Kind of like a muffin and kind of like a cookie. I thought they were pretty good for something different! Blend oil, bananas, eggs and sugar. Mix together flour, soda and nuts. Combine with banana mixture and stir until thoroughly mixed. Drop by teaspoonfuls onto greased baking sheet. Bake at 350 degrees for 12-15 minutes.